*Place the oats, ripe bananas, eggs, greek yogurt, maple syrup, cinnamon, baking powder, baking soda, vanilla, and salt in a food processor and mix until all ingredients are well blended. Add the berries and gently stir them in by hand. *Allow the muffins to cool, and remove from the pan. 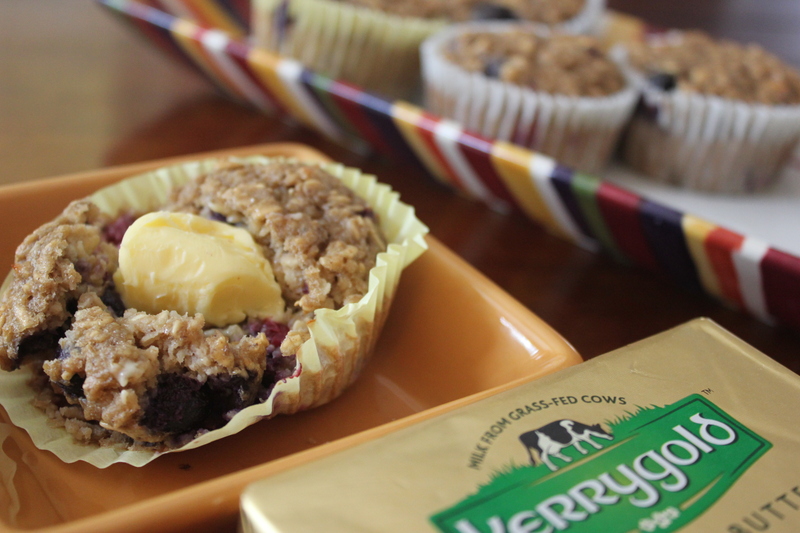 Serve with a generous slab of Kerrygold butter. 🙂 Enjoy!! *This recipe was adapted from My Fussy Eater. Thank you, Ciara, for the inspiration!